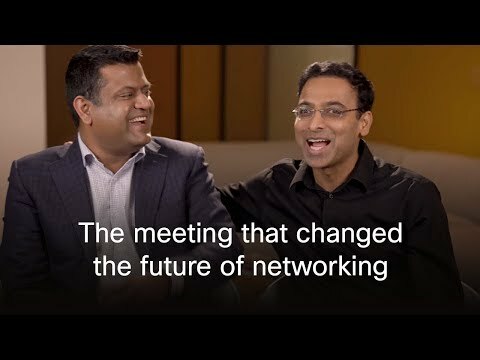 SAN JOSE, August 15, 2016— Cisco is on a mission to make collaboration simple, magical and open. We want to make connecting with others painless so you can get on with the task at hand and get great work done. Today, we take a huge leap forward as we announce Cisco® Meeting Server. It makes it simple to connect people in Cisco video rooms with others who are using Skype for Business. In fact, with this technology, everyone can join—regardless of whether they are using Polycom or Avaya gear, a mobile client or a WebRTC-enabled browser. It’s as simple as clicking a link. A consistent, familiar meeting experience. No matter what you are joining from, you’ll have a familiar look and feel. That’s important as most users will join from a video room one day, and a mobile client the next. Better bandwidth use. In the past, video conferences that connect multiple offices have sometimes led to high bandwidth bills. Cisco Meeting Server reduces these costs by optimizing bandwidth use between sites. Lower costs. We intentionally built Cisco Meeting Server to work best with lower-cost, standard Cisco UCS® hardware. This gives you flexibility to add servers as needed and keep initial costs low. Virtually limitless meetings. The product can support small organizations with only a few users to global enterprises with tens of thousands of users. A simple user-based licensing model. Companies can buy the services they need now and add as the organization grows. A focus on security you expect from Cisco. Cisco Meeting Server adheres to the most stringent security models. Learn more on the Cisco site and in Rowan Trollope’s blog. You can order Cisco Meeting Server now. Cisco Capital can provide financing in more than 100 countries; click here for more information. Cisco and the Cisco logo are trademarks or registered trademarks of Cisco and/or its affiliates in the U.S. and other countries. A listing of Cisco's trademarks can be found atwww.cisco.com/go/trademarks. Third-party trademarks mentioned are the property of their respective owners. The use of the word partner does not imply a partnership relationship between Cisco and any other company.